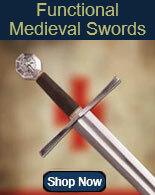 Medieval Raider Scimitar Swords for sale are 39 inches in all. 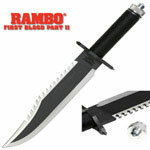 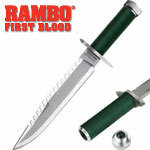 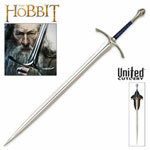 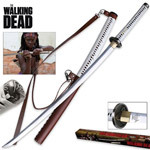 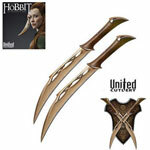 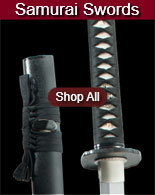 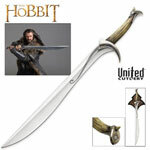 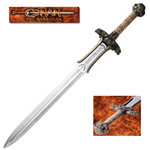 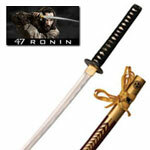 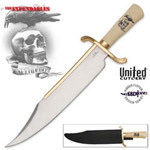 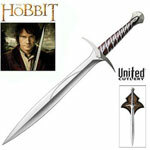 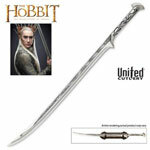 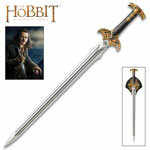 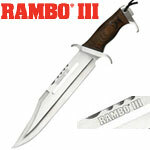 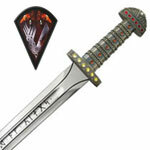 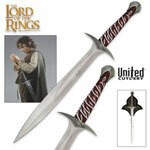 These popular scimitar swords feature a traditional curved 24 ¼ inch stainless steel blade which terminates in a point. 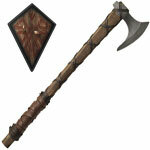 The wooden handle features a pewter finish cast metal guard and pommel. 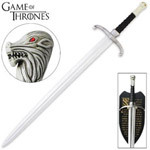 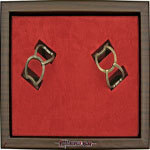 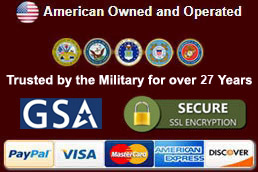 The guard is engraved with intricate medieval designs. 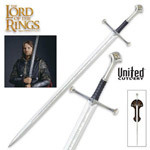 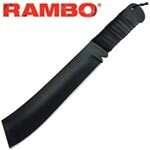 These scimitar swords also include a black imitation leather scabbard which features snaps. 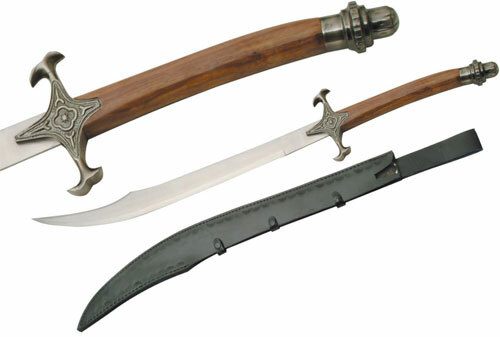 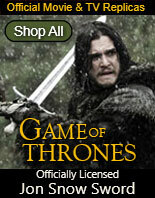 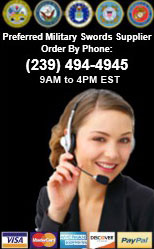 Buy the popular Medieval Raider Scimitar Swords for $59.99.